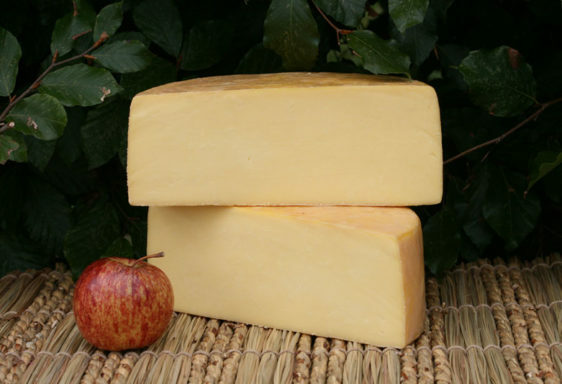 A semi-hard, wash rinded cheese made with unpasteurised Channel Island cows milk. After maturation the Rainbows Gold cheese is wash rinded every day for several weeks using an ale called ‘Golden Chalice’ which is brewed locally by ‘Glastonbury Ales’. 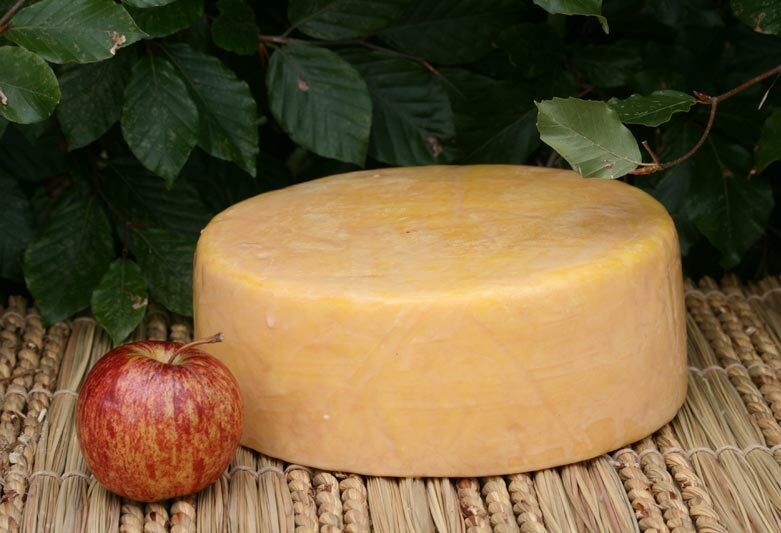 This aids the development of the lovely sticky orange rind on the Rainbows Gold cheese and helps give the cows cheese a smooth, soft, beautifully creamy texture and a fabulous rich, savoury flavour.